I was looking forward to this film, but ultimately it was forgettable, a disappointment. My main problem with this film is the pacing. The majority of the film is slow, building the character of ‘Tom Chaney’ to be this elusive, faceless nemesis, almost being comparable to ‘Keyser Soze’ in ‘The Usual Suspects’. I felt that when or if the clan finally found Chaney it would be a grand stand-off, a chilling confrontation. But, in the back of my mind, it dawned on me that this film was only around the 1 hr 40-50 minute mark; it had the pacing of a film an hour longer than that, it couldn’t afford to be like this. And so it was, very little happened in the first 1 hr 30 minutes, with absolutely everything coming to a head within the next 10 to 15 minutes or so, it felt rushed and created a crushing sense of bathos. Ultimately, the film has a simplistic premise that is, quite frankly, poorly told; stories of retribution have been told better dozens of times. While the narrative of the film lets it down, the acting does not. Performances from Bridges, Damon and Brolin are all relatively good (if you can put up with Bridges’ incoherence), but it is in Hailee Steinfeld that we see the best performance. The gumption the 14 year-old portrays in her character reveals her great confidence and talent as a young actress; initially it must have been daunting for a girl of her age working with her older, esteemed co-stars. People I have consulted about the film praised its direction and cinematography, but the similar wide, open landscapes and nail-biting sequences of the Coens’ outstanding ‘No Country For Old Men’ were leaps and bounds ahead. Unfortunately, ‘True Grit’ produced nothing original, nothing that particularly etched itself on my mind. 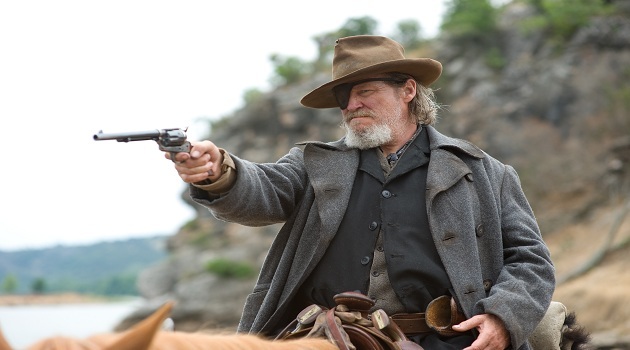 In conclusion, I am totally bemused by True Grit’s praise and score on Rotten Tomatoes; I have a suspicion that it has something to do with the Coens’ reputation. If the film were directed by a lesser name, I think this film would’ve garnered a much lower score.